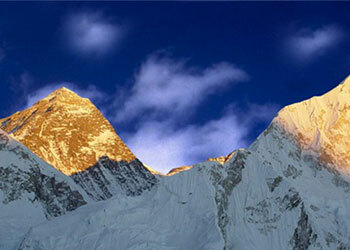 Above the Himalaya Trekking (P) Ltd. is one of the leading trekking companies in Nepal. Successfully run since 2007, we are specialized in Trekking in Nepal, Everest Base Camp Trek and a wide range of other adventure tours and services, including: an eco-friendly, trekking, hiking, climbing, jungle safari, mountaineering, scenic & cultural tours, historical tours, wilderness expeditions, overland adventures, special interest tours, helicopter rescue, family adventures or group holidays in Nepal, Tibet and Bhutan. Our dedicated team of professionals will design custom trips with your specific budget and priorities in mind. All of our guides are trained and certified to work in the most remote corners of the Himalayas. At Above the Himalaya Trekking we are committed to providing the best services, which will give you a once in a lifetime journey. We will bring you safely and comfortably into the most isolated corners of Nepal, Tibet and Bhutan. At the same time we will share with you finest and interesting facts about the Himalayas, Nepali culture, history and religions. Rest assured for your upcoming trip to Nepal. We are the most trusted trekking agency in Nepal and arrange trips according to your schedule and comfort. You’ll typically travel with a small group, although we can offer a customized guided tour for as few as 1 guest. You’ll enjoy intimate hotels, wonderful personal connections, and the fun that comes in traveling with like-minded friends. 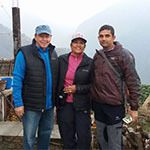 Our holiday team is composed of energetic, enthusiastic, efficient and professional tourism experts, with years of experience in travel industry in Nepal. We have a very strong relationship with our best local hotels, guest houses and restaurants to assure of our guests’ maximum satisfaction during the holiday. You will always get a quick response to all of your inquiries. We will also provide you with all the information you need to know before you set off for Nepal. We own the operation. With us, there is no middleman. Above the Himalaya trekking vacation in the Himalayas is like a family vacation with your best friends in Nepal. 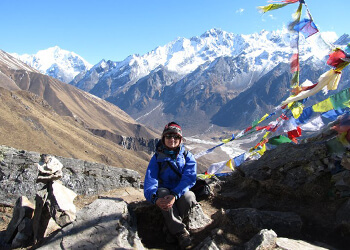 Above the Himalaya Trekking (P) Ltd. is one of the leading trekking companies in nepal, specialized on Everest Base Camp Trek and other adventure tours and trekking in Nepal. “Professional & Affordable Trekking” My husband and I just returned from trekking in Nepal (2/12-2/20/2017) and without hesitation we wanted to recommend Puru Timalsena and his team at Above the Himalaya Trekking. I have relied on Trip Advisor reviews and found Puru thru Trip Advisor. I gave thought to using a company directly in Nepal and leaving out the middlemen and it was so easy. 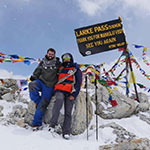 We just back from amazing Manaslu Circuit track with my son (23 years old), organized with by Above the Himalaya. Our guide Shitaram make all possible to sure that we get everything that we need. We impressed his kindness and intercession to lead trek the best way. After passing Larkey La Pass we get an unfortunate message so we need back as soon as possible back to Kathmandu. 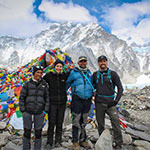 Fantastic trip to Everest Base Camp!” The owner of Above the Himalaya, Puru, was extremely helpful when we were looking into setting up a trip to EBC, and made it very easy from the moment we got off the plane in Kathmandu, with everything taken care of from being picked up at the airport, to our hotel. The guide provided, Basu, was amazing and made our journey so much more memorable.